Perennials plants and flowers are one of the most common plants sold by mail order in the UK and with such a wide variety of perennials used in cottage gardens and borders it is easy to understand why. or many years they have readily available for sale by post and now catalogues are usually available online from mail order nurseries. Browse the participating nurseries listed below, or for an alphabetical list of perennial plants visit our A - Z mail order and specialist nursery index. Perennial plants provide a great show of flowers and can also act as a source of cut flowers for the home. Perennial plants do well in containers and some are suited to sun while other prefer shade. 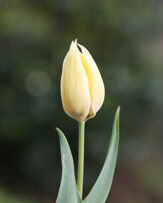 Also of interest is the wide range of garden bulbs for sale online. Perennial plants are used widely in garden border planting and cottage gardens throughout the UK. Flowering from spring through to Autumn depending on species, with the right list of perennial plants it is easy to have flowers in the garden for 6 months of the year. Dying back at the end of Autumn they can be divided during early spring and will soon bounce back to life providing a riot of colour. Tall growing perennials are best planted at the rear of the garden border while smaller low growing plants reserve a place at the front of the border. Remember that perennial plants can be purchased as plug plants for mass planting and can also be grown in pots or containers and placed near doorways or paths when flowering. 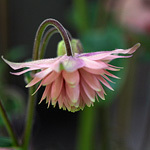 A wide range of perennials are readily available for sale by mail order during the colder months. Our listed suppliers all have plant catalogues available either online or in printed form. Many will place you on a mailing list when you purchase, so each season you will have access to the latest flowering plant catalogues. A treasure trove of shrubs & perennials. Primulas, auriculas, sempervivums and helianthemums. Specialising in herbaceous perennials and ornamental grasses, mainly A.G.M. or the more unusual varieties. 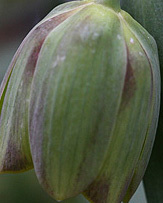 Mail order specialists of herbaceous perennials, including bearded irises, herbaceous & tree peonies. Hosta specialist , Agapanthus varieties, Phormium, Crocosmia, Rhodohypoxis, Trilliums and many more. Unusual alpine, bog, woodland and herbaceous plants, shrubs and bulbs. Mail order throughout Europe. Aquatic, Marginal and Bog Plants, Waterlilies, Hardy Geraniums, Ferns, Grasses, Shade & Woodland Perennials. Small family run nursery run by plantaholics and this reflects in our wide range of the unusual. Specialist mail-order nursery. Unusual perennials, bulbs and grasses. 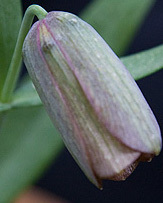 South African Tulbaghia. We have a range of perennials, shrubs, alpines, climbers, grasses, bedding, herb and vegetable plants. 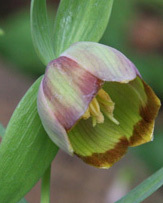 Hardy perennials, soft fruit bushes, bare root hedging, mail order is offered on all products. Online garden centre and plant nursery, specialising in Shrubs, Trees, Perennials, Fruit, Bamboos, Ferns. Including plug plants, bedding plants, vegetable plants, hanging basket plants, and perennial plug plants. Unusual perennials, bulbs and ferns in any semi- or fully shaded position in the garden. Wide range of herbaceous perennials, ornamental trees, shrubs and old roses; includes rare varieties. We Provide Mailorder Australian and NZ plants, in Ireland and Europe. Many suitable varieties grown hardy.